Bauer is pulling out of the industry-wide Vodafone Big Top 40 show when its contract runs out in December. 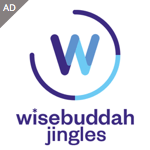 As a result, Global has informed all stations currently taking the show, including those owned by UKRD, Wireless, Quidem, Lincs FM Group and Nation Broadcasting, that it has been forced to withdraw the chart from syndication. Hits Radio Manchester has already replaced the chart countdown with an entertainment-led show called “This Week’s Biggest Hits” hosted by Sarah-Jane Crawford, and RadioToday understands this show will go across Bauer’s Hits Radio network from the new year. Marvin Humes and Kat Shoob currently host the chart across 140 radio stations with an audience each week of millions. It is the single biggest radio programme on UK commercial radio, and together with its previous names such as the Nescafe Network Chart Show, The Pepsi Chart and Hit40uk, has been going since 1984. The Sunday afternoon show will only air on Heart and Capital stations from the new year, including those run by Communicorp. It needed to b dropped from some as so many stations carry the show there’s practically nothing else to listen to on a Sunday afternoon. South East Wales being one area. I didn’t ever expect that much of a cut though. But really hope Bauer can bring us something good in its place. I’ve noticed that they emphasise the word ‘official’ during the show, where they are trying to make it bigger than it is, to compete with BBC Radio 1. As you are aware, Radio 1 is the home of the only ‘official’ top 40 singles and album charts. 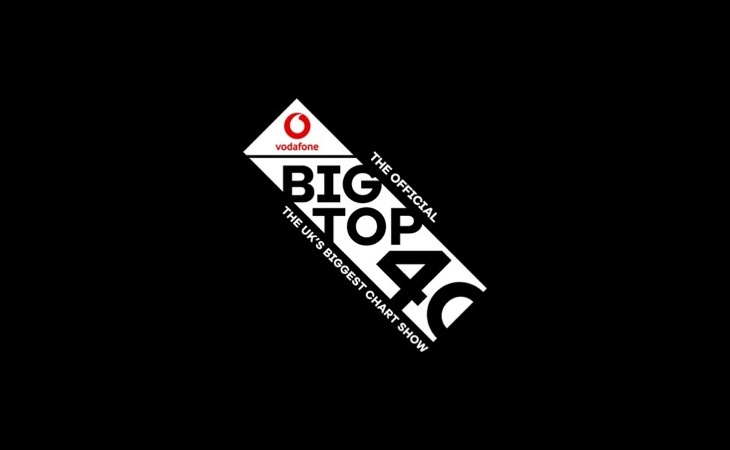 The Vodafone Big Top 40 may well be the most listened to chart show, but I don’t know how they can get away with saying “the official top 10” or “the official number 1 single”. Bauer’s decision is totally understandable as the charts are now irrelevant and meaningless, official or otherwise. The Bauer stations among others will probably network something while the stations that effectively ‘shut up shop’ at 7pm on Sundays with non-stop music shows until 6am will probably do that from 4pm instead. It should just be broadcast on Capital. It doesn’t really suit Heart’s output plus they don’t play many current chart hits, even if it’s number one on the Big Top 40. It’s no loss as it’s just a made-up and meaningless chart using stats influenced by its affiliates. It lost it’s sparkle many years ago. It will just get replaced with one of Bauer’s own syndicated shows anyway. It does actually say in the article that the replacement programme will be the Hits Radio programme which is broadcast at the same time and “will be networked”. Its the start of the network ‘roll out’. Just watch, the local stations will start being advertised as playing all the ‘Hits’ or a ‘Hits Radio’ station. In other words, “We’re about to ditch all our local presenters in favour of networking ’cause our bosses are greedy bas****s”.